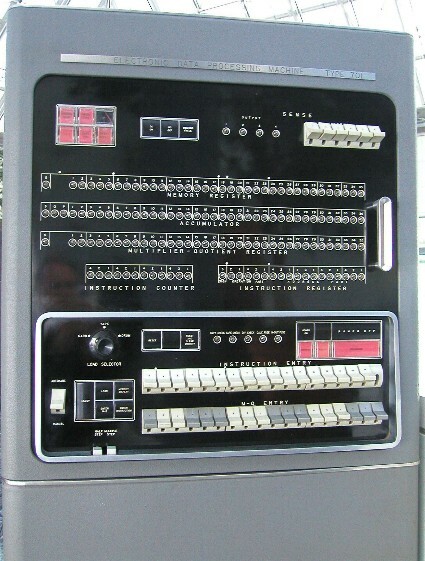 The IBM 701 also know as "Defense Calculator" was introduced by IBM on April 7, 1953. This computer was start of IBM 700 and 7000 line. Memory was 2048 36 bit words. Each instruction could be signed plus or minus, plus would access memory as 18 bit words, minus as 36 bit words. There was a expansion option to add another 2048 words of memory, but I can't find documentation on how it worked. Memory cycle time was 12 microseconds. The 701 was withdrawn from the market October 1, 1954 replaced by 704 and 702. A total of 19 machines were installed.